"Guys, what year is it? I can’t tell because of my water bottle. Oh, it’s the 1920s? Crap." 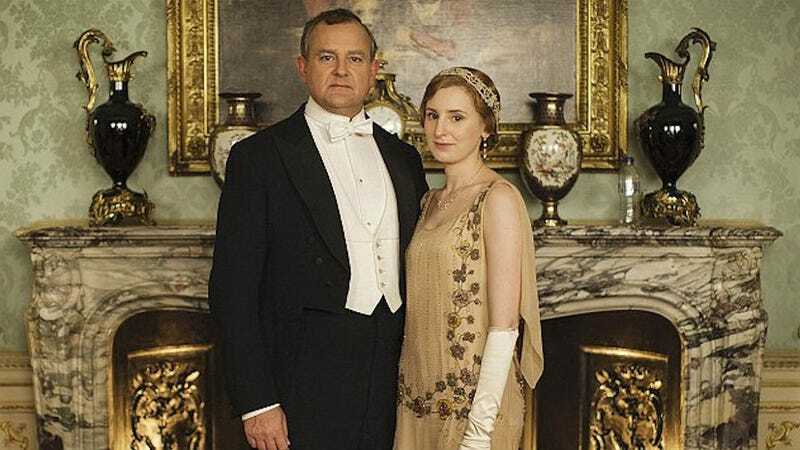 These are the thoughts of whomever left their plastic bottle behind during a Downton Abbey promotional shot of the Earl of Grantham and Lady Edith Crawley, according to the Daily Mail. Thank you silent stranger who didn't throw away their drink while their co-workers prepped to do the Charleston. You have made this rough day better, especially since plastic bottles didn't gain steam in the U.K. until the 1960s. Time travelers unite!